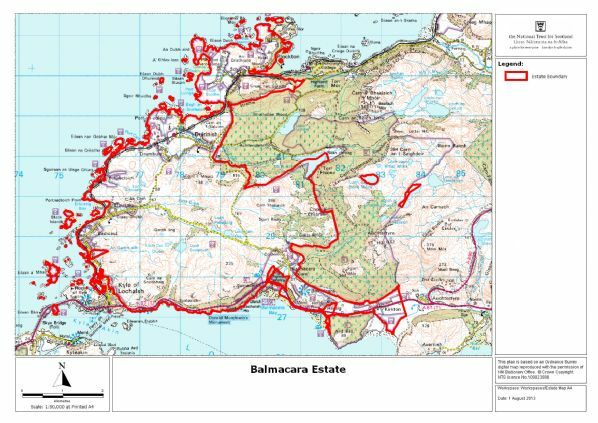 Whilst the current crofting situation on the Balmacara Estate is relatively healthy, the NTS is concerned that this may change in the coming years. With ongoing pressures on crofting from the inherent economic difficulties associated with small scale agriculture, relatively poor agricultural environment, remoteness from markets and reform of the Common Agricultural Policy (CAP) and poorly targeted support systems there is a likelihood that there will be an increase in movement away from crofting agriculture towards other uses of the land. The NTS values very highly the heritage value of these crofting townships, both in terms of the rich cultural aspects and in terms of the resultant biodiversity and landscapes. If there is a downturn in the levels of these traditional activities there will be an attendant impact on these important cultural and natural heritage assets. So against this background the NTS resolved to attempt to maintain and protect these important cultural landscapes and their attendant biodiversity by supporting and encouraging the continuation of these traditional practices through a combination of measures set out in the Traditional Croft Management Scheme. The scheme was introduced in 2006 and was a great success with 15 crofters taking part. Numbers increased to 20 crofters in 2007 and based on the experience of the first two years it was decided to continue the scheme and it has been running since. To encourage the continuation of traditional crofting practices on the Balmacara Estate as a means of ensuring the protection and enhancement of the increasingly rare croft landscapes and associated species and habitats and the strong cultural identity associated with crofting. This relatively simple aim can be further broken down to more meaningful and specific objectives that reflect the range of measures that the NTS employs to achieve this broad aim. The two core elements are simply the encouragement of rotational cropping and retention of cattle. For this scheme rotational cropping entails the growing of a mixture of crops, not necessarily in the same year but preferably with some element of rotation from year to year. Typically those crops might include potatoes, turnips, cereals for winter feed (e.g. peas, oats, barley, etc. ), hay and/or silage. This rotational system ensures that the land is kept in good condition and fertility levels are maintained and pest species are kept under control. The scheme is also concerned with developing the linkages between keeping cattle and the growing of crops for winter feed. Therefore, it is intended to integrate a link within this scheme as part of the encouragement for the retention of cattle. In addition to these linkages, the NTS would ideally like to see an increase in the amount of species-rich hay meadow within the areas that are cropped for grass. However, it is recognised that this will incur additional costs to crofters and so measures are included to support this. In terms of cultural heritage, recognition is given to the more traditional practice of growing hay as opposed to silage and measures are included in the scheme to support the extra costs associated with this. Encourage the expansion of species-rich hay meadows and the preference of hay production over silage. Ensure that such support and encouragement is delivered in an administratively efficient and flexible manner. There are two critical elements to the scheme, firstly direct support for rotational cropping, and secondly support for the retention of cattle. The Trust also offers additional support for more traditional elements of cropping, e.g. hay instead of silage and late-cut to enhance the species diversity of the meadows. The scheme makes payments to crofters who undertake to carry out cropping activities on their croft. These payments do affect their entitlement to other subsidies and support measures. Varying rates are paid according to the type and areas of crops being grown but as shown in the table below. All payments are annual and subject to confirmation of area, although a minimum payment of £50 will be made for each crop of potatoes, turnips or cereals. These payments were calculated according to estimates of the actual cost of production for a crofter in the west highlands (at 2005 prices). The costs take into account an allowance for seed, fertiliser, lime (if required), ploughing, harrowing, Farm Yard Manure application, harvesting, reseeding and fuel, plus they account for the value lost from the area taken out of pasture and the value of the crop itself. For the grass crops a basic payment is made if the crofter grows a grass crop, e.g. silage. If the crofter cuts that crop for hay, as opposed to silage a premium of £100 per hectare is payable. If the grass crop is deemed to be species-rich a premium of £100 per hectare is payable. To qualify for the species-rich premium the crofter must delay cutting until after 1st August. This allows the various floristic species to set seed before being harvested. The premium payment recognises the potential loss of productive value of the crop and the risk of loss or damage to the crop from the weather. The payments for other crops, i.e. 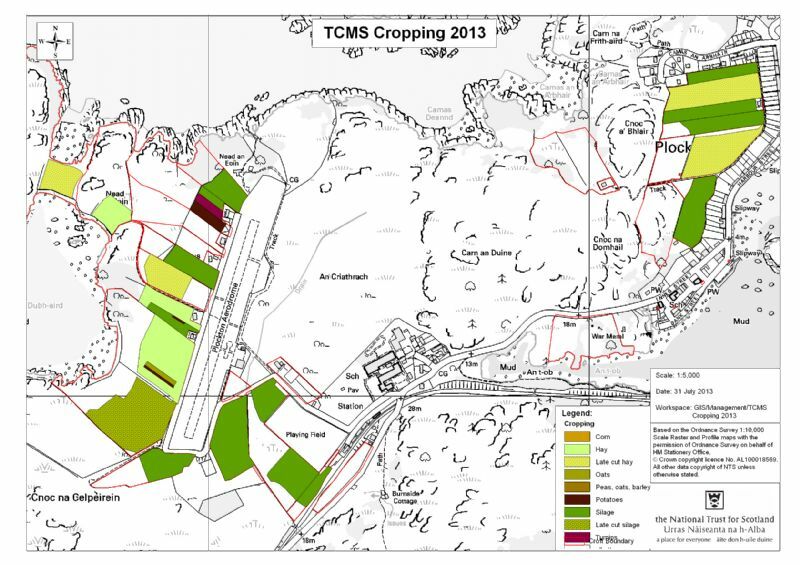 potatoes and/or turnips will be subject to a maximum area of 0.25 ha each per croft. 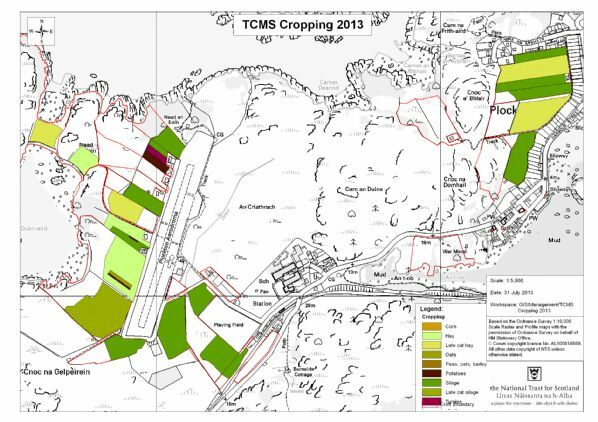 This is to avoid whole crofts being turned over to production of these crops that would lead to a reduction in the diversity of the overall crofting system within any given township. Areas that have been used for one of the three main crops ideally should not be used for the same crop the following year in order to avoid over-cultivation of small areas of ground. However, there is a minimum payment of £50 for each crop of potatoes, turnips or cereals. Crofters are effectively paid a headage payment of £70 per cow reared up to a maximum of their individual souming. (souming is defined as the number of livestock units they are permitted to graze under their share in the common grazings). Where a crofter has a sublet of another croft, or works the land informally for another crofter who is not in the scheme they can include the souming for that croft as well. All payments are annual and subject to confirmation of numbers. Retention of Cattle Payments will only be made to crofters who have agreed to produce some element of cropping on their croft. The payment will be subject to confirmation that the agreed crops and other commitments have been produced.